Entity framework is an Object/Relational Mapping (O/RM) framework, an enhancement to ADO.NET which provides a mechanism for accessing & storing the data in the database. It can be used in ASP.NET applications for data related operations. Most of the ORM tools like NHibernate or Entity Framework has many features those are implemented in years as required, but in a real world, developers are using a small subset of them and complexity of unused features may downgrade the performance of an application. Micro ORM only provides few set of features like read data from the database and map them to domain objects. Micro ORM requires very fewer configurations and are easy to use compared to full ORM. E.g. Micro ORM dapper provides extension methods to DbConnection class and adding a reference to dapper will allow accessing database using those extension methods and if consider the performance it provides a result with time near to ADO.NET. 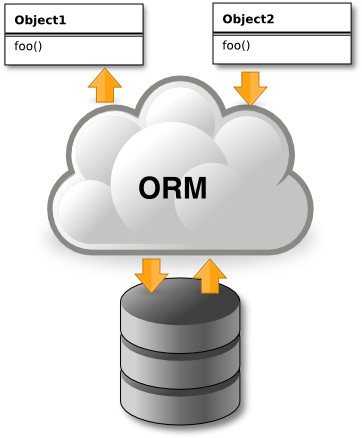 ORM supports relationship for domain objects means related objects can be loaded automatically if required. To achieve this with Micro ORM query needs to be formed accordingly which will add complexity in code and query. Entity framework provides designer to create domain classes and relationship between those classes while with Micro ORM classes and relationship needs to be constructed manually. Entity framework provides caching for returning cached result set if a similar request has been made recently. If having a requirement to produce the best performance, prefer dapper over Entity Framework. If having a requirement to migrate legacy code of ADO.NET, will help to improve code with minimum changes especially with dapper which provides extension methods to DbConnection. If want to use relationships for domain classes, to load related objects Entity Framework is preferred. If want to use OData which works over IQueryable and to make it more effective Entity Framework can be used to gain performance. Now Create IStudentRepository.cs interface and StudentRepository.cs classes for data access. Similarly insert, update and delete can be implemented in ASP.NET MVC using student repository of dapper micro ORM data access layer. 13 + 4 = The captcha value you provided is incorrect.